Mi Soo pleads for her life and screams. This earns her a slap. She pleads for her life and the man tells her to just be still. Mi Soo bites him and runs for it. At this time, Kyung Soo happens to drive by and brakes so he doesn’t hit the people running into the road. He watches the scene and then realizes that the woman the man is attacking is Mi Soo!!! I’m curious since he sat there with little reaction at first…would he have left without doing anything if it wasn’t her? The man drags Mi Soo back into the shop and starts slapping her around. Enter her knight in shiny black armor. He catches the baddie and heaves a mighty punch before he can hit Mi Soo again. The man tries to fight back, but it looks like Kyung Soo’s the better fighter. The man tells him to count himself as lucky and runs off. Kyung Soo goes to the hysterical Mi Soo and hugs her. She screams a little bit, but he talks to her and tries to get her to calm down. Just breath—it’s all over now. 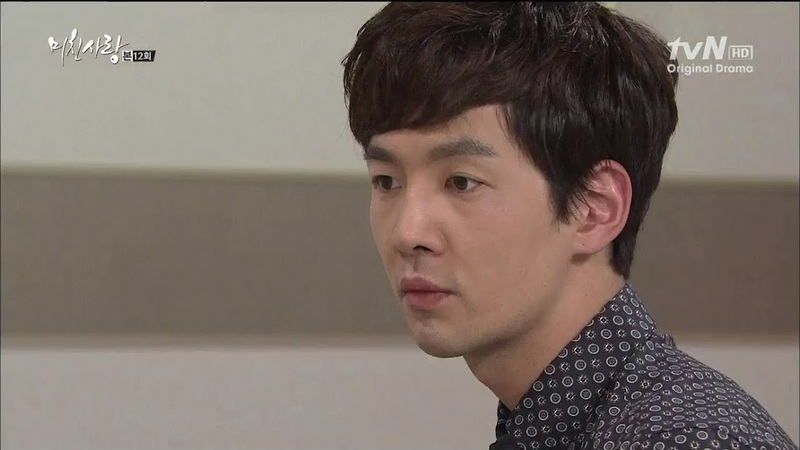 The anxious Na Young asks the baddie if he accomplished his task. The man tells her that some guy showed up out of nowhere. Na Young yells at him for getting caught and failing. She then tells him to make sure to keep everything a secret from Baek. She hangs up and calls him a moron. Poor Sam Shik. That’s what he gets for being money hungry. Back at the shop, Mi Soo assures Kyung Soo she is fine and has calmed down now. Kyung Soo asks if she recognized the assailant from the neighborhood. Mi Soo asserts she doesn’t. Kyung Soo goes to call the police, but Mi Soo forbids him to as it will be a big deal for her mother-in-law. Kyung Soo puts his phone away and Mi Soo thanks him for coming to her rescue. She was lucky he showed up in time. She tells him to go one home and she will, too. Um…hello? You were just attacked and nearly beaten/raped. Even if baddie wasn’t going to try again tonight, you’d be stupid to go home alone and that is exactly what Kyung Soo says. He will make sure to take her safely to her house. He stops by a pharmacy on the way to the Lee house and buys her some calming medication. She needs to take that before going to bed as shock can cause serious problems. Mi Soo takes the medicine and thanks him. She also tightens her grip on her sweater (to cover the ripped shirt). Kyung Soo sees this and takes a blanket out of the back. Sheesh. First a pillow, now a blanket—what else does he keep back there? He puts it around her and anxiously tells her if she experiences anxiety or bad dreams or insomnia or anything like that, to hurry and call a doctor as such things cannot go untreated or else they will only get worse. I ♥ him soooo much right now. Mi Soo assures him she will. At the Oh house, Go sits down to take care of her nightly cosmetics and Oh becomes enraptured by her. He calls her a work of beauty. He had eel for lunch…should they test to see if it was domestic or imported? LMAO. I don’t particularly care for Oh, but he’s just so, so…adorkable here. This is more like the character I’m used to see him play. The actor is usually a weak, sniveling, whipped man. It’s weird to see him in a domineering role. Anywho, he picks up his chubby wife, shocking her. She warns him about hurting his back, but the mood is ruined by a screaming Hae Ryung. She’s bawling Kyung Soo out for not coming home like he promised and Oh complains about how his son-in-law ruined the moment. Mi Soo comes in like a thief. She goes into her room to find Min Jae sleeping with their daughter. It’s a cute scene. She leaves and goes into Hae Ram’s empty room. She recalls the attack and starts shaking and crying. She keeps hearing his whistling. Take the medicine, it could help. Poor girl. 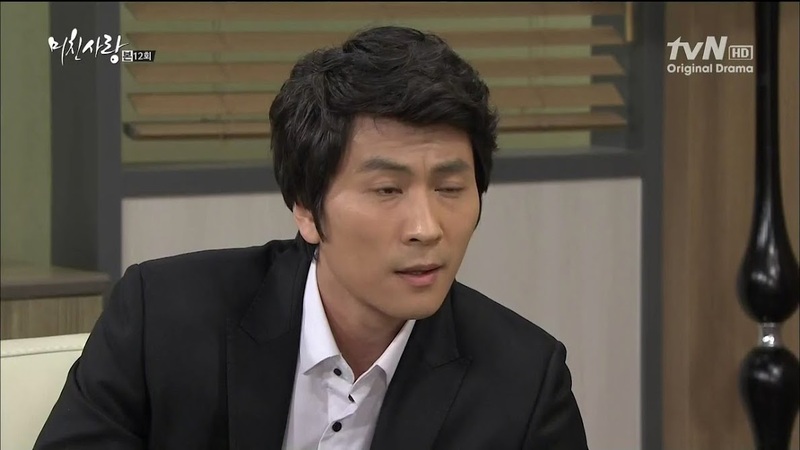 The next morning Myung Ja complains that Mi Soo is faking being sick so that Myung Ja is forced to work. Min Jae scolds his mother for not being more considerate of his wife. Mi Soo is rarely sick so it must be bad if she can’t get out of bed. Why didn’t Min Jae take her to the ER then? Min Jae says he’ll wait to see if resting doesn’t help first. He then complains that Myung Ja should hire a made as it is probably exhaustion ailing his wife. This irks Myung Ja. Why waste money on a maid when there is a person who doesn’t work? There is a valid point there actually. Myung Ja then complains about the behavior of orphans and Min Jae scolds her for saying such things in front of Hae Ram. He then promises to take Hae Ram shopping for her friend’s birthday. Min Jae then goes into the bedroom to look after his wife. Mi Soo assures him she’s feeling a little better. Does Mi Soo still plan on visiting her mother’s grave? How about she hold off until Sunday and they can all go as a family since Min Jae hasn’t gone in a long time. No. It has to be today as Mi Soo already feels badly about not going on her mother’s death anniversary, plus her husband should have a day of rest on Sunday. She’s already made arrangements to pick up Hae Ram early from school. Min Jae goes to get her medicine, but Mi Soo assures him she’ll be fine and will get it herself. He should go to work and make sure to buy Min Suh’s present with Hae Ram. That’s right…wasn’t she going to do that last night? Mi Soo lies and says she forgot her purse and came home. Min Jae says that’s good as it’s dangerous at night. Indeed it is. Kyung Soo goes back to the scene of the crime and looks around for clues. He finds a button on the floor. He goes to pick it up with his bare hands but stops himself just in time. He uses his handkerchief to pick it up instead. He recalls Mi Soo’s ripped shirt. How nice that he’s investigating this on his own. Will it lead him back to Baek who technically had nothing to do with it? At the elevator, Na Young approaches Min Jae and he ignores her. She breaks the silence first and asks if everything was okay the other night. Why? Was something supposed to happen? No. In the elevator Na Young continues her lies. She only said such things about his wife because he treated Na Young poorly so she is sorry about what she said. Min Jae then apologizes for slapping her. More than the slap, him calling her murky water hurt her more. She then forces Min Jae into a corner and kisses him so they are caught on the elevator’s camera. To boot, people are waiting for the elevator and see them kissing. The devious harlot. She smirks and walks out of the elevator. The girls then immediately start spreading the gossip. I LOVE that Min Jae calls her a suction cup octopus. It was funny. 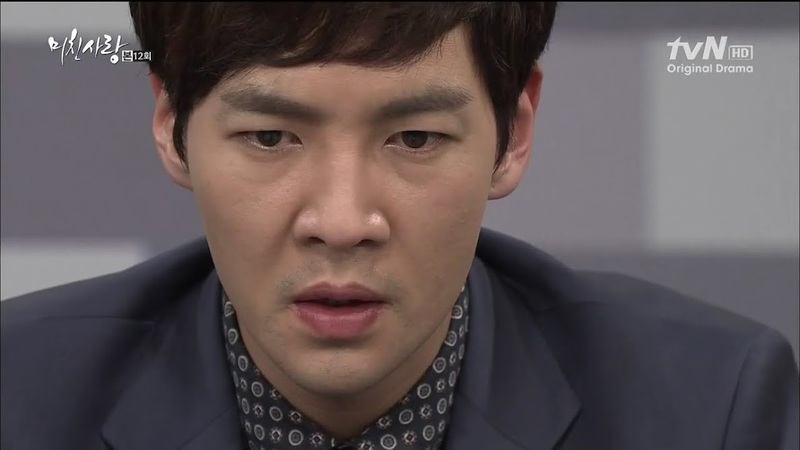 Whang the comes in asking after a file and Min Jae realizes he forgot it at home. He calls up Mi Soo who says she is feeling better. She then scolds him for forgetting the important USB at home. Mi Soo asks if it can wait for two hours when she’s leaving or if he has to have it now. They then arrange to meet in the lobby. Mi Soo then gets a call from Yoon asking if she is visiting her mother. Mi Soo says that she is and Yoon says that her mother must know since he dreamed of his wife last night with a huge smile. Mi Soo then says she feels apologetic for not going more often. Yoon knows she busy with housework and Hae Ram. He then says he can’t go and to give his regards and buy his wife her favorite crème buns. Mi Soo agrees and Chan Ki takes the phone to have her ask their mother to help him pass the next audition. Mi Soo needs to drive carefully and call her brother as soon as she is back. Such a loving brother. Yoon and Chan Ki then tear up and talk about how much they miss Im Sun. Mi Soo getes Hae Ram all dolled up for her visit to the grave. Hae Ram asks for a bow and Mi Soo grabs out the pretty bow that Min Jae bought her. Where did such a pretty little princess come from? Out of the mouth of babes—“from your tummy that’s why I’m your daughter.” I LOVE this adorable little girl playing Hae Ram. Hae Ram then asks for a younger sibling. Is it boring without one? Yes. Mi Soo apologizes as this is one thing she can’t give her daughter. However, Mi Soo pinky promises to play with her daughter as much as possible. Hae Ram goes to take her stuffed puppy and accidentally knocks the family photo on the floor, breaking the frame. In dramas, this is considered a very bad omen. At CK, Whang delivers a package from Robert Chung to Min Jae. He opens it and inside is a joker doll that pops out. 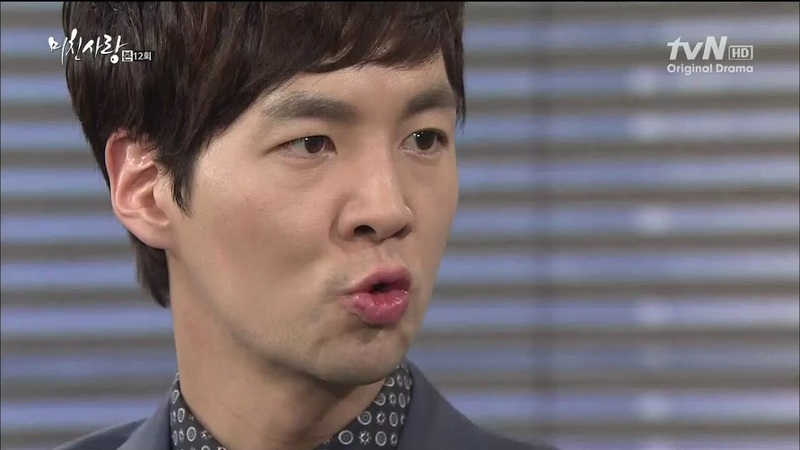 This freaks Min Jae out. What the heck. I think the doll might be laughing and saying “F U Reese.” Min Jae then digs into the box and finds a flier from Sunny Texas with Na Young’s picture on it. Things begin clicking into place as he recalls Chung’s words and Na Young’s odd actions. 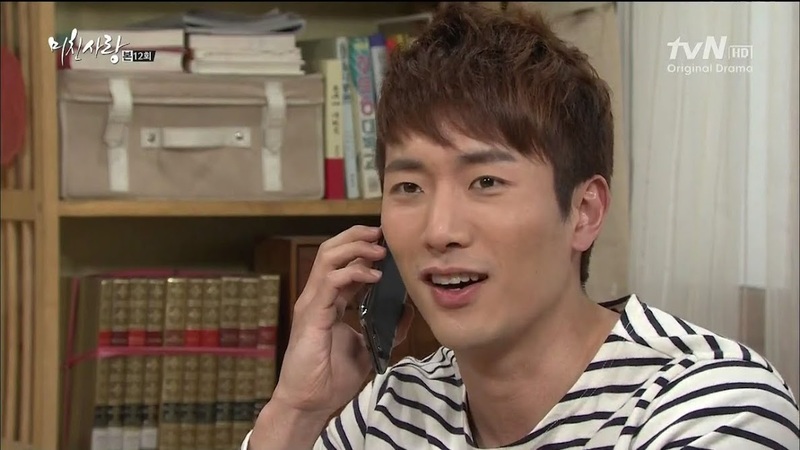 He calls up Green’s again and asks them to resend Jennifer Han’s information (supposedly Na Young’s name in the US). You have to love Chung. He was too afraid to stay in Korea in case Baek came after him, so he screwed Na Young over from thousands of miles away. Smart. At JR, Kyung Soo hands the button over to a colleague who used to work for the national forensics lab. He doesn’t do that anymore, but Kyung Soo knows that he still has connections to private labs. He needs the button fingerprinted. If a man’s print is found, he needs that man investigated. His friend says that since Kyung Soo doesn’t want to open a criminal investigation he needs to tell him some details. Kyung Soo promises to do so later. Fine. His friend asks for a drink instead and then takes his leave. Boy, Kyung Soo is well connected. 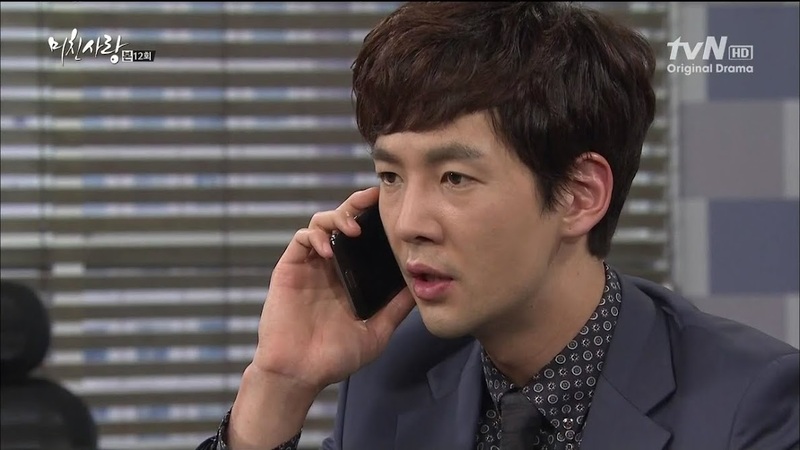 He recalls the attack once more and decides to text Mi Soo to see if she is okay and needs to see a doctor. Mi Soo sees the text and replies that she is okay and thanks him very much for helping her the other day. Hae Ram then comes out after going to the bathroom. Kyung Soo texts back that is a relief and that she should try to think of good things. This touches her. She and Hae Ram then leave the for grave site. At CK, Min Jae has everything set up to confront Na Young. She comes in and he tells her that Robert Chung sent a present since he didn’t get to say goodbye. Na Young unrolls the fliers. Is this enough proof to confirm her lies or should he give her a chance to come up with lame excuses? He then asks if she has lied about anything else. He will forgive her this one thing, but nothing more than that. He gives her a chance to come clean. Will she? Probably not. She tells him that she really hasn’t lied about anything else. Min Jae then takes out Jennifer Han’s transcript. It proves that was a lie as well. She even forged her school records. Fine, she lied about her schooling, but she has more than proved herself while working at the company. Does he know how hard she worked? Min Jae won’t listen to her. He demands she hand in her resignation before he tells his mother. Of course Na Young pleads with him. Min Jae says out of consideration for the feelings he thought he might have had, this is the only thing he can do. Na Young lies and says their feelings are true. She is also the only one who can give him an heir—he can’t let go of her. Min Jae assures her he’s grateful for the offer, but will pass. He then says he doesn’t know for sure what has made her that way, but after she was abandoned by her parents she became a monster. Wowza! What an insult. I don’t feel sorry for her one bit. She tries to plead that she really loved him but he shouts at her to get out of his office now. 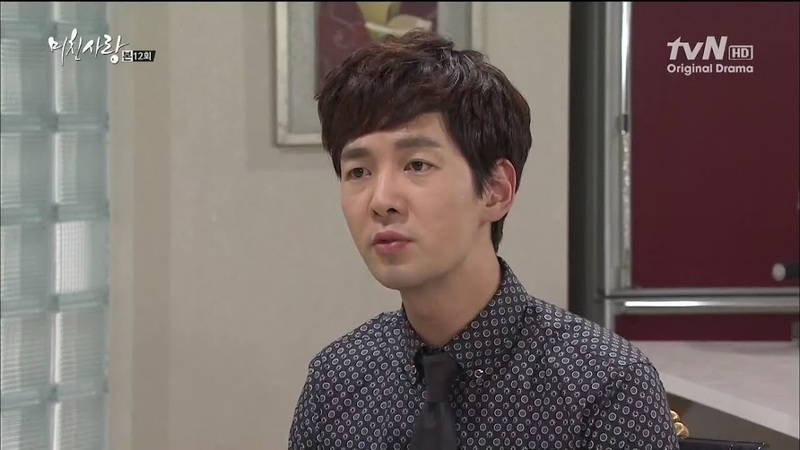 Go and Myung Ja pass each other by and Go says that Min Jae needs to be taken care of as he has caused a big scandal. It would be bad if the board found out. Go then leaves and Myung Ja wonders just what happened. She goes back to her office agitated. Ko then comes in and Myung Ja demands to know what happened while she was out. Ko hems and haws but does spit out that Min Jae and Na Young were caught kissing in the elevator. Meanwhile Na Young is anxiously pacing the planning department office and recalling all the evidence Min Jae has against her. 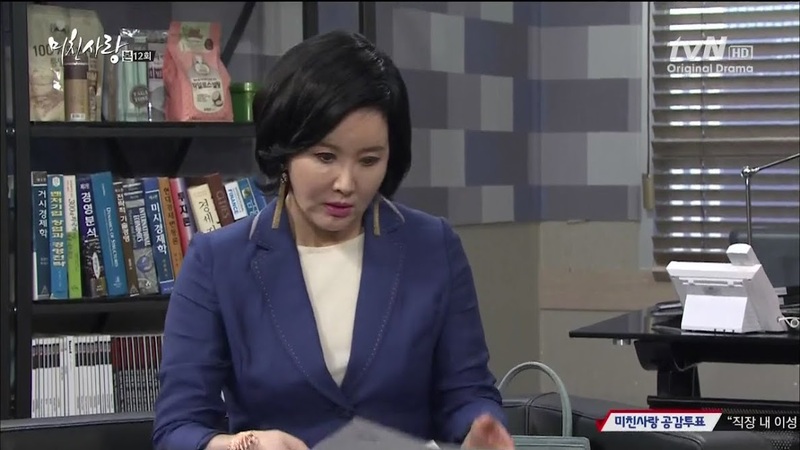 Myung Ja goes to see her son to bawl him out for acting inappropriately in the workplace. She was having bad feelings after learning Na Young was an orphan as well and this goes to show she can’t be trusted. How could Min Jae let things go this far? Does he have feelings for her? Absolute not! Then why did he kiss her? He didn’t, she jumped him. This makes Myung Ja call him a moron. Min Jae then blames her for shoving Na Young down his throat when he didn’t like it. He then hands over the proof of Na Young’s deception. This shocks Myung Ja even more. While the other planning department members are gossiping about Min Jae and Na Young she looks postively ill. She goes to rush out to get to Myung Ja before Min Jae but is too late. Myung Ja slaps her and demands she leave right away. Na Young says she can’t leave without talking to Myung Ja, but the woman refuses to listen and leaves. When Na Young goes to follow after her, Ko stops her. Mi Soo stops by the office with the USB and Hae Ram. They then hear Na Young’s shouts. Min Jae and Mi Soo go running out of the office and Mi Soo is shocked to see security throwing Na Young out. What happened? Min Jae won’t explain. He goes to take Mi Soo away, but she stops him. When Na Young tries to force herself past the guards, they throw her down. Utter humiliation. She deserved it. She looks up and sees Mi Soo and Min Jae. This will only make her hatred more intense. Just when I thought Na Young couldn’t stoop any lower…she will use Hae Ram for her revenge. She’s sick. Haven’t seen QoA. I like Kwon Sang Woo, but the plot had me wondering if I wanted to watch it or not. I really hope nothing bad happens to the adorable little girl. I find it heartbreaking when bad things happen to children. Yeah, given the pacing of the plot so far, it’s definitely not just two married people finding love with each other. There’s definitely that strong undertone of revenge on Crazy Witch’s side. I knew she was bad, but the previews, again, I can’t forgive anyone who gets children involved and does bad things for them. Baek should know after these past few episodes Crazy Lady is beyond redemption. 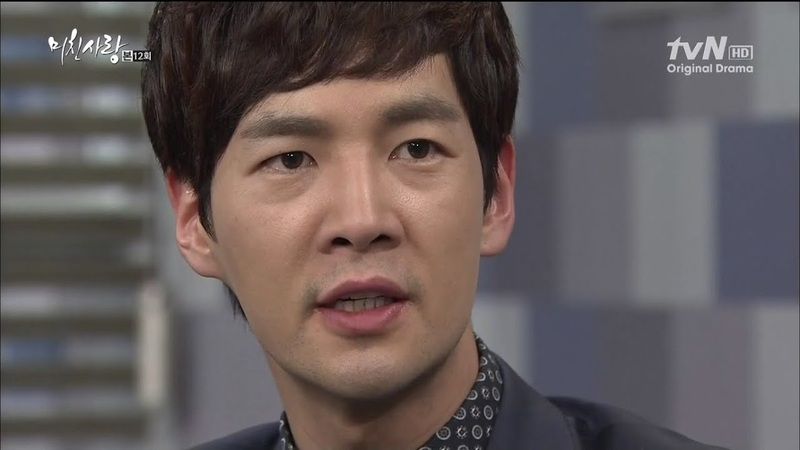 I feel badly for him as his connection to Na Young can only bring him pain since she is setting out to ruin the girl he’s been obsessing over for more than 20 years. Name of Park Sun Young’s character is Mi So, not Mi Soo. I can’t wait for next recap. I watched ep 13 today and I feel bad for Mi So. I’ve seen it spelled Mi Soo & Mi So and it also sounds like “sue” so I thought it really was Mi Soo. Whoops. I’m going to try to get to it tonight. I’m really dreading what’s going to happen.